High quality 4-stroke SIP generator with 210cc engine and 15 litre petrol tank. 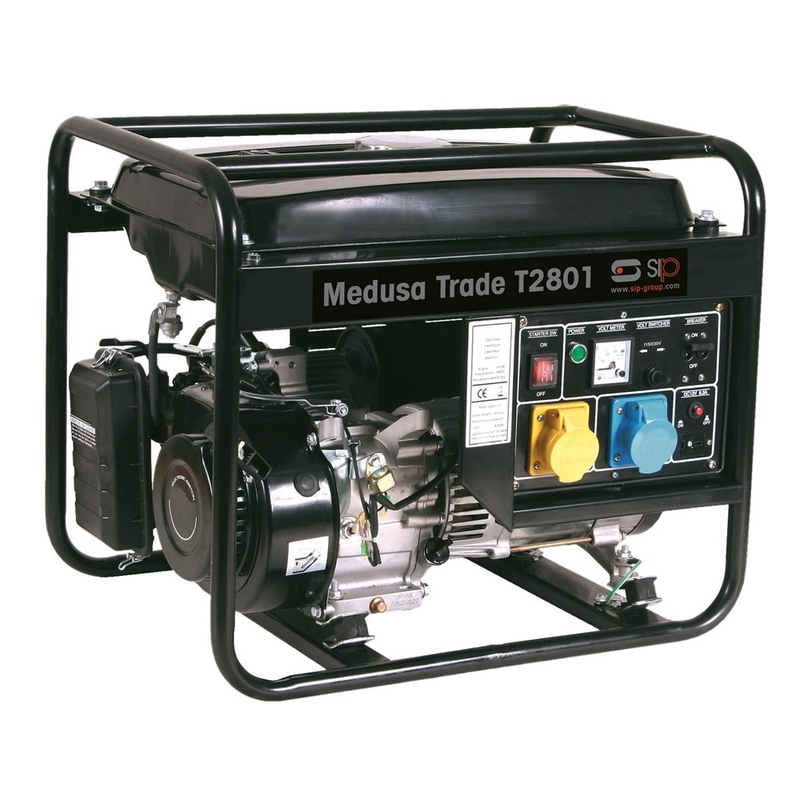 Designed with a full frame this Medusa generator has a 3000w continuous output and 1 x 230v ac, 1 x 110v ac and 1 x 12v dc supply. Fitted with a low oil alert system for safe unattended use.